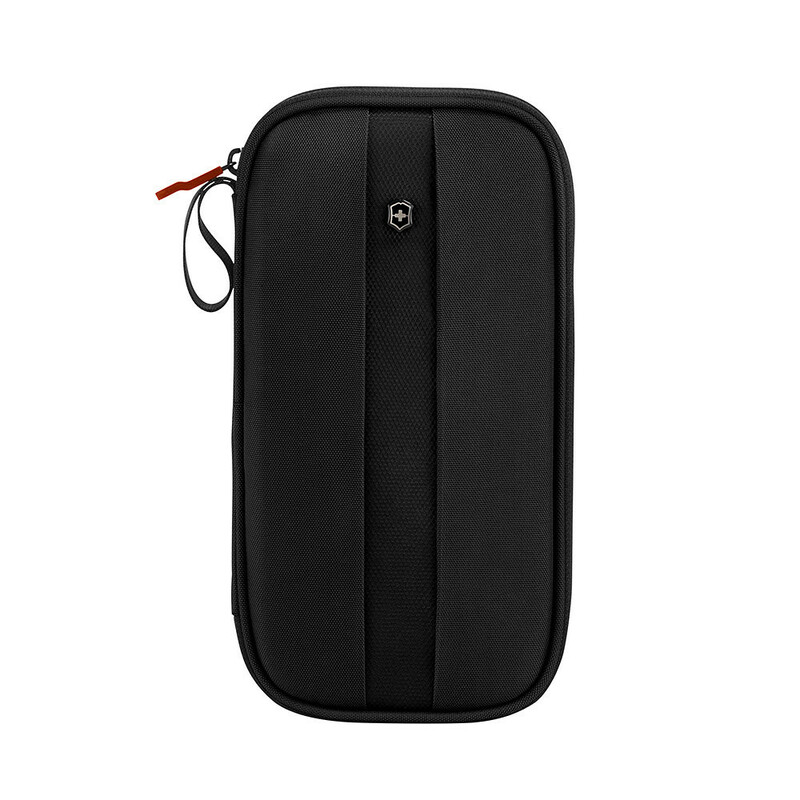 Victorinox are a well respected brand who have made some great design choices with their sophisticated and sturdy travel organizer. 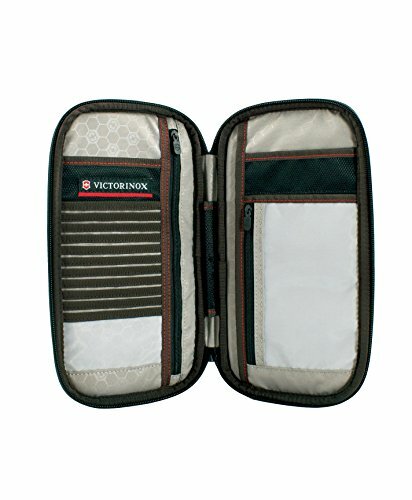 How Does the Victorinox Travel Organizer with RFID Protection Stack Up? 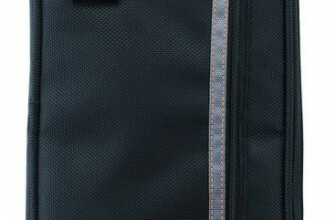 Similar in style to the Lewis N. CLark Travel Organizer, the Victorinox Travel Organizer has a zip that goes around the circumference of the wallet and two sides to store your items. 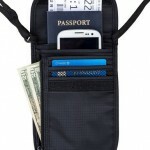 In addition to this, there is a handy outer pocket which easily fits boarding passes. There is also a hook, located near where the zip closes. This is handy if you want to padlock the two together or simply hang your organizer. Now let’s have a look inside! Is that TEN card slots? Yes, indeed it is. 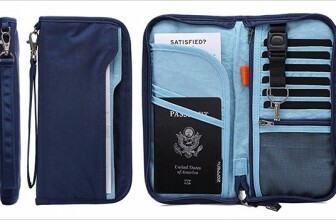 The left side of the Victorinox Travel Organizer provides ten slots for cards. It is definitely a snug fit, anything larger than your standard size credit or business cards will not fit although the material feels like it will stretch a little over time. 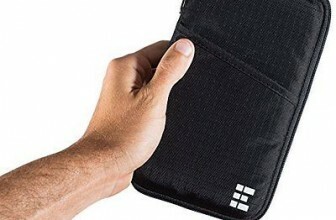 On this same side you have a large vertical zip, perfect for travel documents, maps or coins. 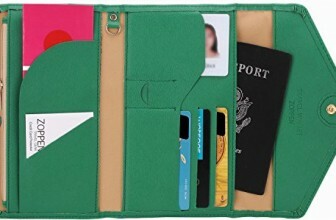 On the other side of the wallet there is another, smaller zippered compartment, ideal for passports and a bigger open pocket for anything else really! At this point, there is more than enough room for anything. In terms of wallet size, the Victorinox Travel Organizer with RFID Protection is certainly a bit of a beast, weighing in at 10.25 x 5.5 x 1 inches. It’s just a little taller than the Lewis N. Clark offering. With that said, it really does fit everything and more and the nylon material is lightweight and feels strong and durable. All the zippers are smooth and of high quality and there’s also a pen holder (another tight fit). 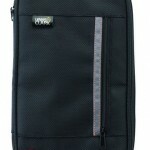 The Victorinox Travel Organizer comes in three different colors and they all look great. There is no mention of any water resistant properties and a plastic id sleeve would be fantastic to top off the already functional design. There’s also nowhere convenient to stow coins or smaller items securely without doubling up with other items. 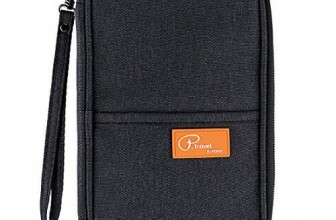 It is definitely one of the smarter looking travel organizers on the market and the high quality materials give it a nice feel. 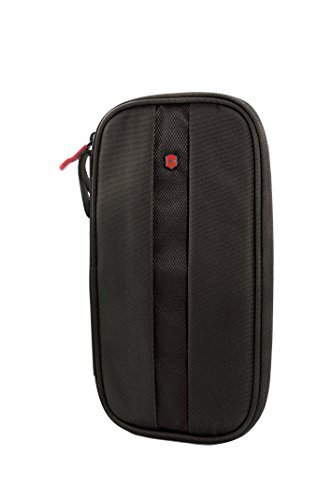 Check out other Victorinox travel related products on Amazon here. I could be really picky here and point out a few minor flaws but really, the Victorinox Travel Organizer with RFID Protection is a great all round product. It's sturdy, well-made and looks fantastic.